Ever since my little trip over to Tulum I’ve been craving margaritas. I’ve been craving margaritas for years! 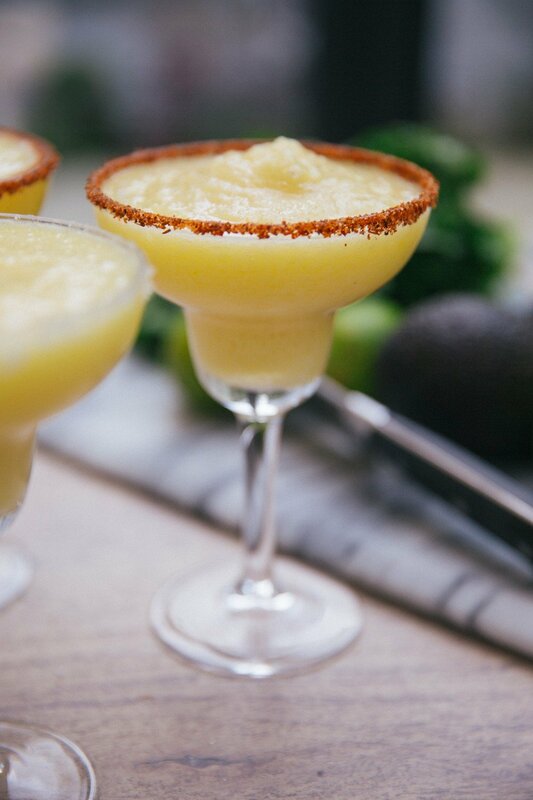 There’s something so marvelously fresh, zingy, tasty, moreish, slurpable about a good margarita. And that goes double for frozen ones. Well, I’m positively thrilled to tell you that I have nailed the recipe for you to make ’em at home! This little beauty of a cocktail is going to see you right through spring, summer, and god willing, that wonderful autumnal Indian summer we’re going to have. They’re beautifully simple, but you do need a good blender. I’ve found the best I’ve ever, ever come across. They don’t sponsor me or send me any freebies, I’m certain they don’t know I exist. But if you are in need of a good blender, you need this one – UK link/US link. It can turn a brick into a smoothie in 2 seconds flat. Probably. Freeze your pineapple chunks over night. You could even add a few chunks of mango or some passion fruit in to freeze too, if you like. When it’s nice and frosty and you’re ready to fiesta, throw them into a blender with your ice. Squeeze over your lime juice. Then pour over a little more! Pop the lid on and blitz! When you have a beautifully fragrant, smooth mixture, you’re done. 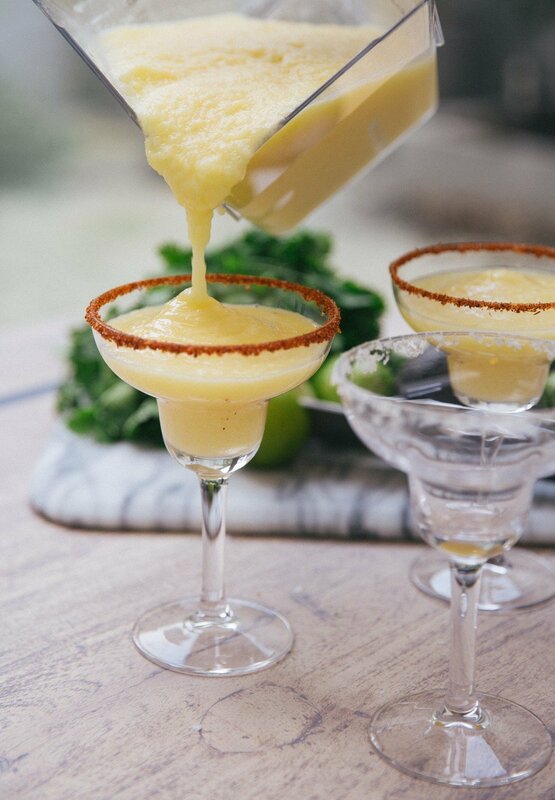 Dip the rims of your glasses into citrus juice, then into salt or Tajin. I have one of these, because I love margaritas! Pour your grown-up slush puppy into glasses. Turn up the music and serve with some fresh guacamole. All your missing is the beach, but a Mexican wave can soon make up for that! Just make sure to drink responsibly… as there’s a serious risk of brain freeze from these muchachos.